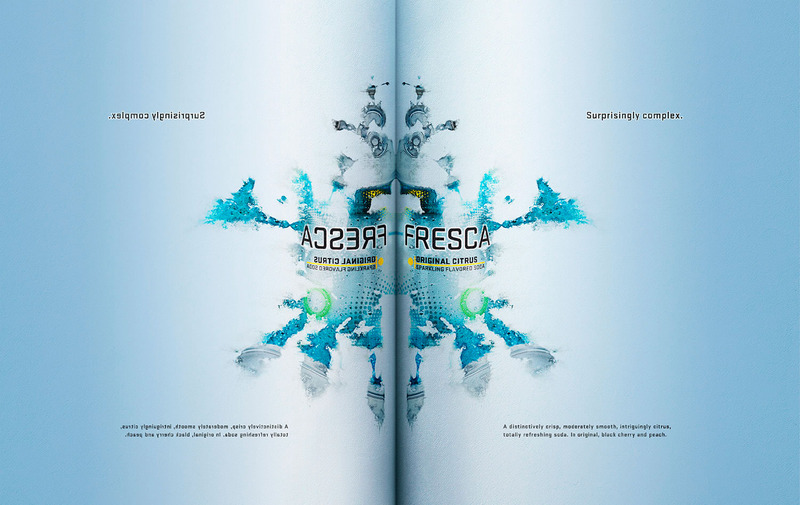 Greg Bell of Venables Bell, wanted to create an ink blot brand image for his new Fresca campaign. Originally, I was given a photograph of the can and a grayscale ink blot reference. After many rounds of color sketches, we decided to move in this direction. I had to re-photograph the can in-house, so I could get the proper detail and perspective. The next step was painting and retouching the image by hand. This included painting the open pages of the magazine.